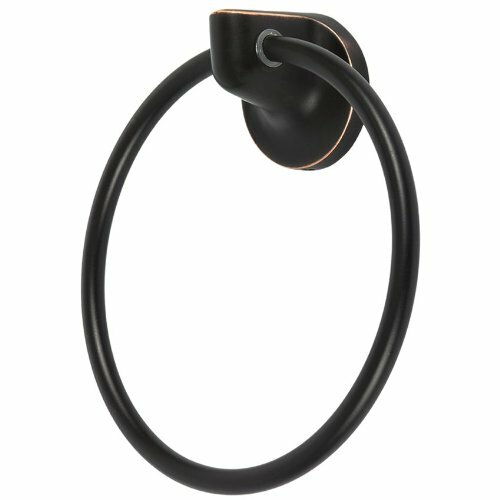 The Pearson Collection towel ring from Bennington Hardware is simplistic in design providing a subtle accent that complements well with a variety of decors. Its close proximity to the sink and faucet makes it an important visual element in the bath. The oil rubbed bronze finish provides a warm look to the bath area while complimenting well with a variety of other bath accessories and bathroom designs. All installation parts are included, and the toilet paper holder is backed by a limited lifetime warranty. If you have any questions about this product by Pearson Collection, contact us by completing and submitting the form below. If you are looking for a specif part number, please include it with your message.